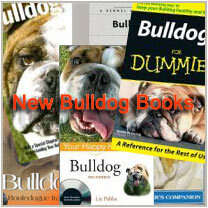 The variety of behavior problems in Bulldogs are usually limited as compared to other dog breeds. They are not usually heavy barkers and do not generally suffer from extreme shyness or fearfullness. Problems that may occur, however, are excessive chewing (that usually last longer than in other dog breeds), jumping up and digging. However annoying, in most cases what we call 'dog behavioral problems' are not problems at all to our dog and are just normal behavior from the dog's perspective'. So, before taking any steps please read the following article to understand why your dog 'misbehaves' and what can be done about it. How many times have I hear fellow dog owners say, "I hate it when he barks non stop… or he utterly embarrassed me when he mounts people's leg". Dog owners usually have no problems to fill in tons of their dog behavioral problems into the above statements. I have to admit that I feel disappointed, even sad whenever I hear dog owners say that statement. Why? Because, these owners have failed to see things from their dog's prospective! To put it simply, I should say that they don't understand their dogs at all. Dogs do not misbehave because they're spiteful, or are out to annoy or anger you. They just behave in a manner which is expected of a dog! 1. Dogs bark because they have something to say, something to tell you. 2. Dogs dig because they smell something underneath the ground. 3. Dogs chew because they are teething and are feeling uncomfortable. 4. Dogs chase after moving objects because they are following its instinct. 5. Dogs turn aggressive because they want to protect you. Many behaviorists & dog trainers believe that at least 20% of all behavior problems are related to the dog's health in some way or another. For all that you might know. Your dog could be misbehaving because he is sick or in pain. Bring him to the vet for a thorough check-up if he misbehaves suddenly when he has always been a good dog. 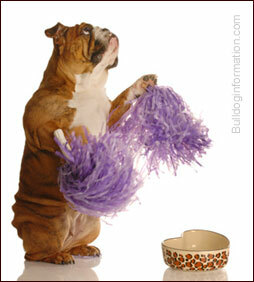 Feeding your dog the wrong food, with too high in protein, fat or carbohydrates is known to cause hyperactivity. Sugars, starches and many other factors in your dog's diet can also cause behavioral problems in your dog. Always read the label of the food before you feed him, seek advice if necessary. Remember that dogs need different type of food in different stages of their life. Lack of exercise also cause plentiful of problems. A dog that doesn't get enough exercise is unhealthy and tends to be hyperactive, and display destructive behaviors. 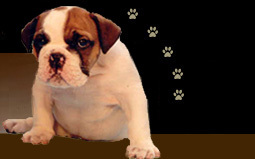 Dogs depending on breed type need plentiful of exercises - Do consider this factor before you get a puppy. I can't stress enough on the importance of the leadership issue. Dogs display TONS of behavioral problems when they lack a leader. Aggressive & destructive behaviors, leg lifting, marking, mounting, barking & etc… It's very important that you assume the role of the alpha leader! You must understand that all dogs develop behavior problems. These dog behavior problems never develop in a vacuum. They are always the outcome of the interaction between a dog and its environment, including you! Most canine behavioral problems can be controlled if not solved completely. You just got to put in some effort and understand that prevention is better than cure. Lastly, do try to see and comprehend things from your dog's prospective the next time your dog misbehaves. You'll soon find that you love him even more! Help! My Dog is a Nuisance When he Misbehaves! Dog Training tips: leashpulling, excessive barking, accepting a new dog in the family, destructive chewing, etc. DogsObedienceTraining.com - The dog training resource site for a happier and healthier dog.